Add your horse website to Equiworld. Equiworld Breeds and Breeding Section! Could you know what to do if a rider fell off and was injured? Find out how to feature your own products. More Learning From Horses: Threats and Safety Zones. 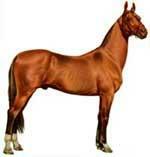 Find out more about horse and pony breeds.